Fifty years after that catastrophic Arab failure, in 1977, the UN declared an International Day of Solidarity with the Palestinian People, to be celebrated each year on November 29. Serry promised more U.N. money for Gaza and called for lifting the legal blockade of Gaza's borders. 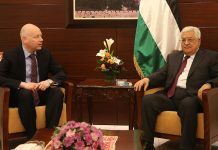 Greenblatt's choice not to declare that the Abbas slur effectively disqualified him from joining the negotiations table was described by King Solomon: "As a dog returns to its vomit, so fools repeat their folly." 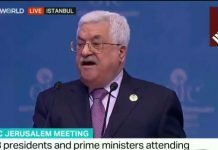 Instead of waiting for Israel to complete its part in implementing Oslo, Abbas urged the full support of the OIC members for the PA's quest to become a full member of the United Nations. Israeli Ambassador to the UN, Danny Danon, said the speech by PA leader Abbas will lead to more violence. The IDF says Gaza reconstruction is moving ahead with new Hamas terror tunnels being built. 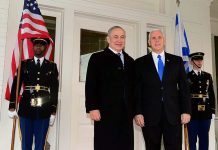 "The Vice President very much looks forward to traveling to the region and to meet with Prime Minister Netanyahu and President el-Sisi." Mahmoud Abbas will never take any deal, no matter how sweet, because "there is no way he will allow himself to go down in history as the person who gave up on the 'right' of return." The closer the Palestinian Authority gets to become a country, the more it spits in the face of those who feed it. Abbas says Obama should stay out of Syria; PA media blame Obama for the civil war and 9/11. Knesset Speaker Yuli Edelstein is to make an historic address before the British parliament. The Obama administration recognizes the "New Reality" - there will be no negotiated Two State Solution during its tenure. It should be noted that the Oslo Accords forbid the participation of terror organizations in PA elections, but Hamas has already set a precedence in 2006. Results from secret talks in Jordan on "peace" were zero, but the need to meet shows Obama is weak. "All my life I've heard that's the hardest deal to make, and I'm starting to believe that maybe it is. But I will say that if it can be delivered, we will deliver it." 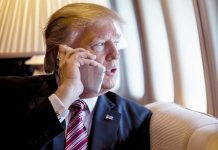 When we wrote two months ago here that Obama’s reincarnated “peace process” was doomed from the start, we stated the ugly truth: Terrorists would drive in the first nail. Yet, the PA blames Israel. Kerry warned Israel faces a new intifada if it does not choke itself to death. A lone PA terrorist, on cue, killed a soldier, and everyone screams ‘Third Intifada.’ It won’t happen – unless Kerry continues to incite. Obama has nothing real to sell, and what he actually wants is for Israel to be taken down a few pegs. Pres. Reuven Rivlin tells a UN envoy Israel won't help rebuild Gaza until Hamas returns the bodies of fallen IDF soldiers Lt. Hadar Goldin and St. Sgt. Oren Shaul. The Haredi Knesset Members who walked out of David Cameron’s speech didn’t miss very much. Gaza terrorists have launched another mortar attack on southern Israel, the second such attack in less than 24 hours.